1. 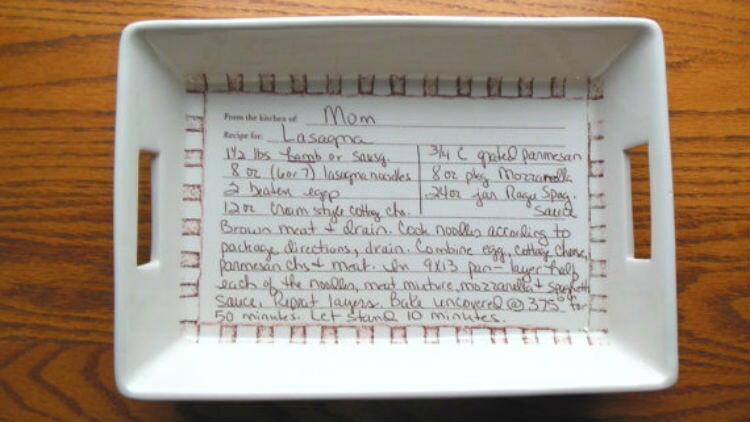 Create a personalized recipe plate with a permanent marker. Turn this gift into a family heirloom by sharing a particular recipe with someone you love. Buy plates from the dollar store or a secondhand store, and write down methods with a sharpie, then bake for 30 minutes at 150 degrees. You could also use a glass paint marker explicitly made for writing on dishes. Glass paint markers are about $4. 2. Wrap yarn around a jar and spray paint it for a stylish candle holder. It’s impressive what some clear jars, yarn, and spray paint can create. You can use any color spray paint—consider the season. 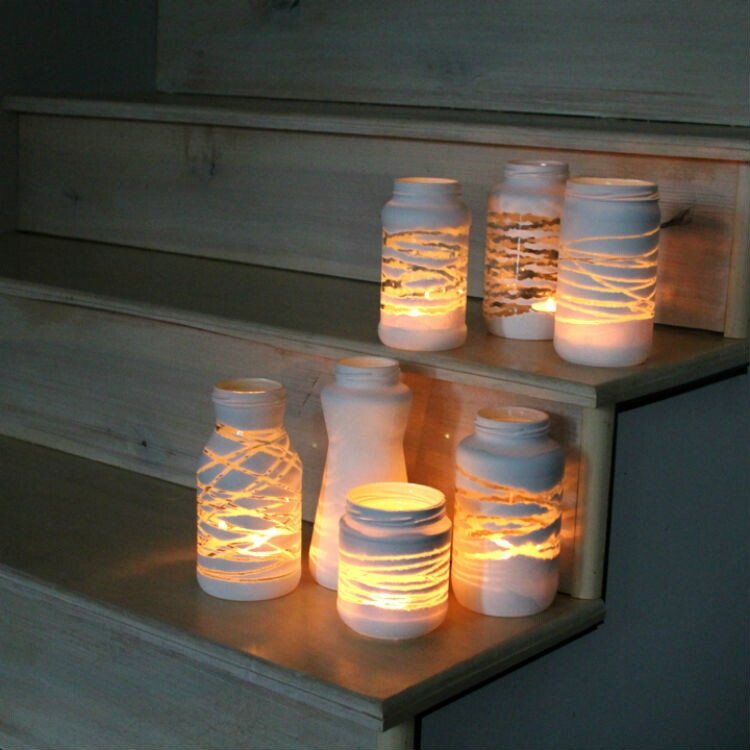 This elegant candle holder is an inexpensive and great gift any time of the year. 3. 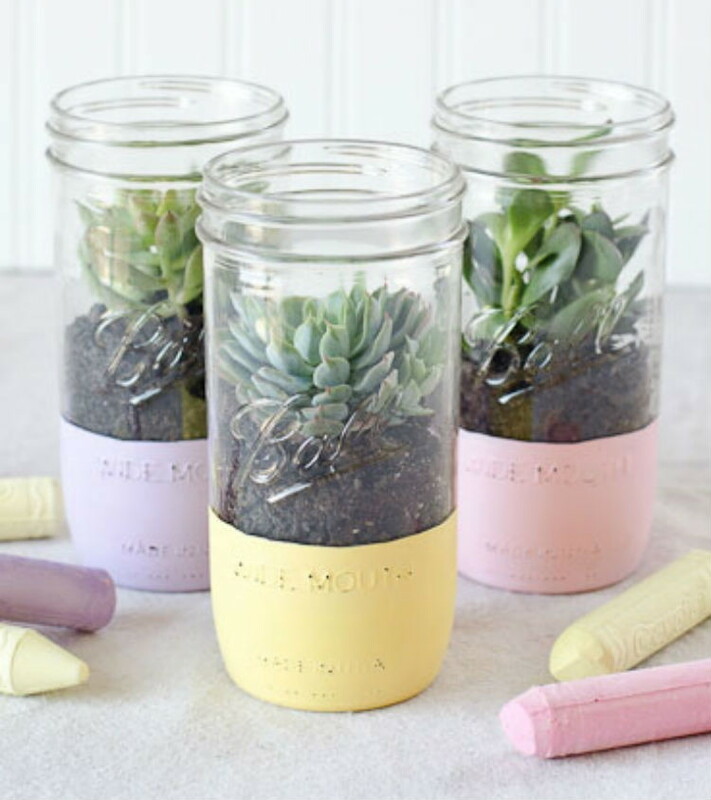 Plant succulents in a mason jar. Pick up some succulents, which are around $4 at stores like Kmart. Grab a mason jar, and paint the lower third for a dipped look. Then add some rocks and dirt before plopping in the delicious. 4. 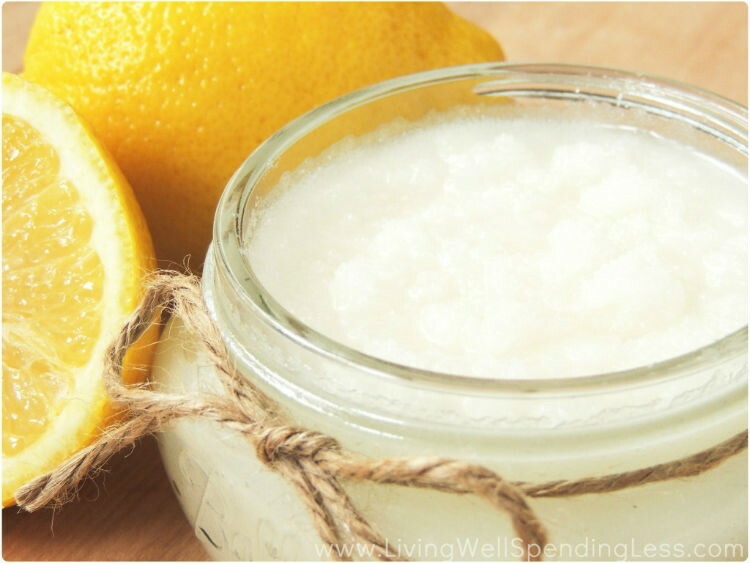 Fill a mason jar with a lemon sugar scrub. This recipe is a cinch, and you probably already have most of the ingredients. Mix some sugar, coconut oil, and essential oil for a cheap and out-of-this-world scrub that leaves anyone’s face, hair, and hands feeling soft and fresh. 5. 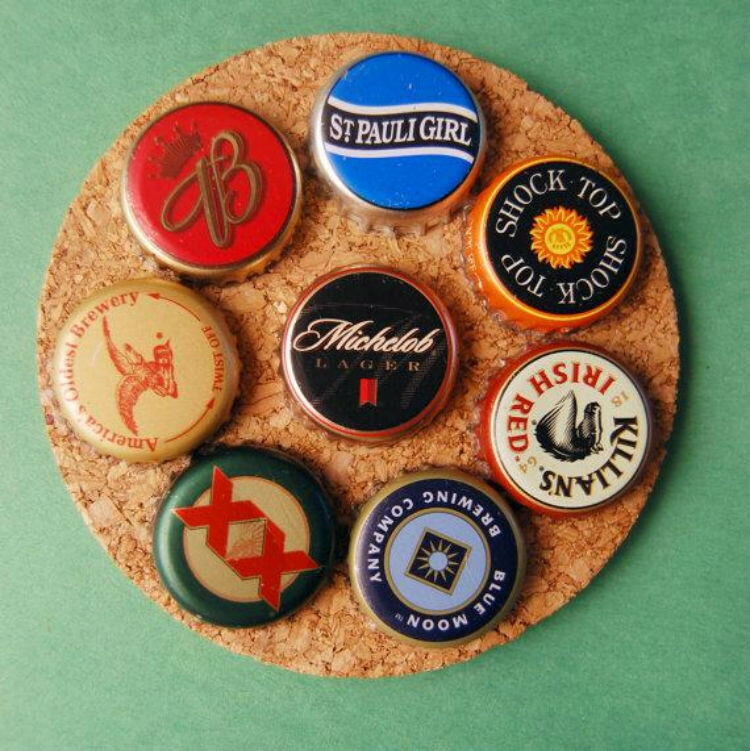 Make coasters with old bottle caps. If you’re a collector of bottle caps, this project is for you. Cut some cork board into a circle — or a square, if that’s your thing. Then, glue on eight bottle caps. A man in your life will thank you. 6. 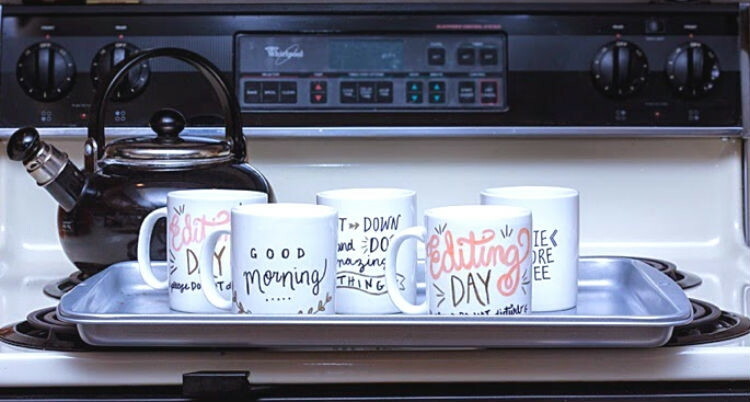 Personalize a coffee mug with a sharpie. Pick up white mugs from any craft store or Dollar Tree for very little, and use colored sharpies to decorate—adding quotes and messages. Bake the cups on a cookie tray for 30 minutes at 350 degrees. TIP: If you use regular sharpies, avoid the dishwasher, as, over time, your design will fade. 7. 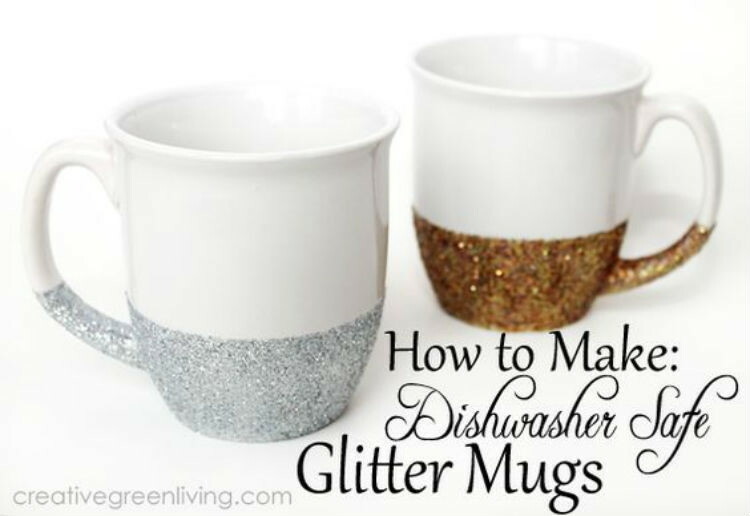 Or, give the gift of a glitter mug. Follow Dollar Store Crafts’ instructions for dishwasher-safe mugs. You can buy everything for a dollar except the decoupage glue, which runs for $10, but shakes out to very little when you’re making many glitter mugs.